January 19, 2019Anthony Cheung's "All Roads" at Lincoln CenterPianist Vonsattel, perhaps channeling Strayhorn’s collaborator Duke Ellington, often used a stylish, percussive jazz touch to project melodies and chords, but could also summon a velvety Bill Evans sound when needed. The Escher Quartet matched him with focused, characterful playing. Far from tedious, the piece’s 25 minutes seemed to fly by, putting an upbeat conclusion on a challenging evening of chamber music. March 30, 2018CSO under Kent Nagano delivers a snazzy slice of vintage Bernstein (Chicago Tribune)Those who would lament Bernstein’s unfulfilled promise as a composer are urged to hear this performance, not only because it is terrific but because of the perspective in which it puts one of America’s greatest, if not the greatest, cultural icons and musical polymaths...Thursday’s soloist, Swiss-born American pianist Gilles Vonsattel, brought urbane charm and winning panache to the extensive solo part. His breezy, light-on-the keys approach to his jazz jam with CSO percussion players in the scherzo may have lacked the manic drive of Lukas Foss or the composer himself (a recording of the 1949 Boston premiere, with Bernstein at the keyboard, tells the tale) but it was fluid and rhythmically deft and it worked. So, for that matter, did everything else about the performance. 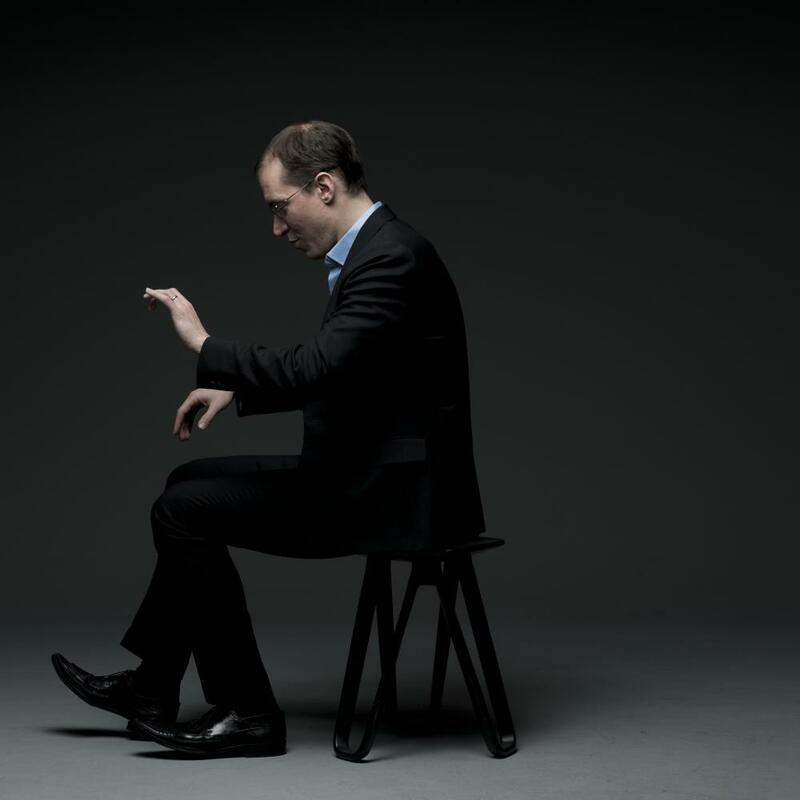 March 30, 2018Nagano, Vonsattel and CSO fete Bernstein in style (Chicago Classical Review)Gilles Vonsattel made a most impressive CSO debut in the symphony’s prominent keyboard part. 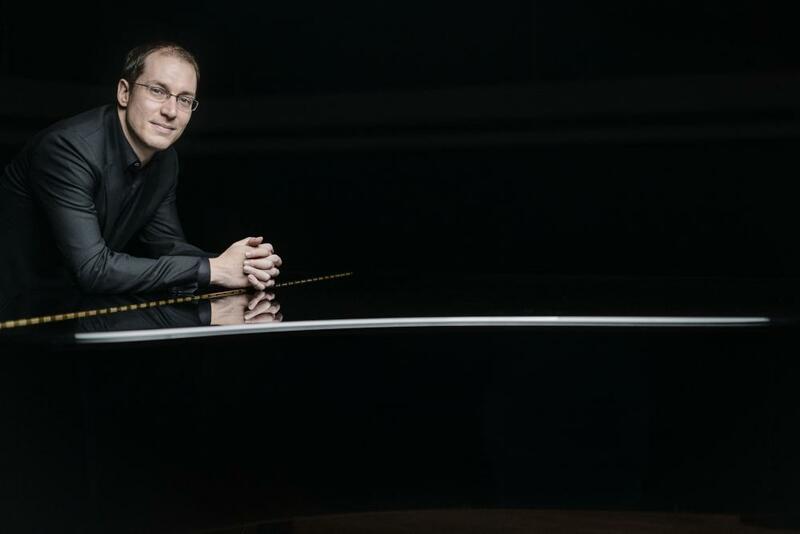 The Swiss-American pianist kept his role in proper scale, skirting spotlight-grabbing concerto bravura, yet always fully serving the score’s lyrical and dramatic demands as needed. Vonsattel was especially inspired in putting across the jazz-based essence of Bernstein’s piano writing—in the “Masque” the pianist was less concerned with speed than style, tossing off the skittering syncopations with a light, kitten-on-the-keys panache that was delightful and felt just right. February 22, 2018Shostakovich album on Claves reviewed by PizzicatoThe powerful performances by Gringolts, Haefliger and Vonsattel clearly convey the depth of feeling and the composer’s spiritual desolation. Not to be missed! January 23, 2018ResMusica reviews Shostakovich recording (Vonsattel/Gringolts/Haefliger) on ClavesToutes les proportions étant gardées, les chambristes nous offrent une prestation cohérente, harmonieuse (aucune dominance de la part du violoniste virtuose ou de l’un de ses collègues, comme c’est parfois le cas pour ce type de productions) et optant pour les tempos justes, c’est-à-dire naturels dans leur fluidité, et ni exagérément allants, ni traînants....Gilles Vonsattel est un partenaire idoine pour Ilya Gringolts : il a la même respiration et il est précis quant à l’articulation, ce qui lui permet, entres autres, d’accentuer l’angoisse, mais aussi de soutenir la ligne « vocale » menée par le violon dans les passages où celui-ci « chante » une douce mélodie. La Orquesta Sinfónica de Xalapa junto con el pianista Gilles Vonsattel y el compositor austro-húngaro Franz Liszt, hicieron vibrar el Centro Cultural Tlaqná la noche del viernes, en Xalapa, Veracruz. Durante el concierto se interpretaron obras de Liszt, Beethoven y Strauss, pero fue la maravillosa interpretación del pianista suizo-americano Gilles Vonsattel junto con el burleske de Strauss y con la Sinfonía No. 2 de Beethoven que el público vibró también. La cadencia acostumbrada del director titular Lanfranco Marcelletti y la magnífica interpretación de Gilles Vonsattel crearon la perfecta armonía junto con los integrantes de la Orquesta Sinfónica de Xalapa y como de costumbre pusieron de pie al público. March 17, 2017SDZ reviews Münchner Philharmoniker, Kent Nagano, Gilles Vonsattel at the Gasteig"...It almost felt like a special concert at the Munich Biennial..."
January 22, 2017Hartford Courant Reviews HSO Beethoven and Ravel - Smirnoff/VonsattelThe jazzy, chamber-like qualities of this concerto emerged without effort, but the real test of any soloist in the Ravel is the opening of the second movement. Vonsattel let it play without pushing and pulling and teasing and the music revealed deep inner beauty and subtle humor. 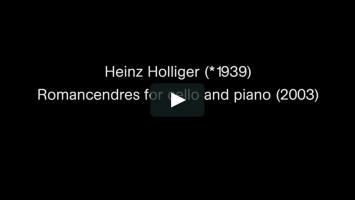 Early in the concerto Vonsattel showed how the piano can sizzle in F-sharp major, and later how it can interact seamlessly with the HSO woodwinds. November 9, 2016Frankfurter Allegemeine Zeitung Review (Eleanor Büning)"...there spanned companionship throughout time and space - heard through the fine piano coloring and lyrical phrases of the Swiss American pianist Gilles Vonsattel...he knows how to make music speak, from George Benjamin's canonic Shadowlines to Robert Schumann's great C Major Fantasy. And he proved to be a clever lion of the keyboard in Frederic Rzewski's Winnsboro Cotton Mill Blues." Manchmal schien es, auch die Musikstücke seien miteinander befreundet. Was nicht verwunderlich ist im Kontext der zweiten Wiener Schule, in der sich das Samstagskonzert fast ausschliesslich tummelte. Dass aber Johannes Brahms mit dem die Tonart noch suchenden Beginn seines h-Moll-Intermezzos op 119 offenbar eine direkte Fortsetzung der Variationen op. 27 von Anton Webern verfasst hatte, obgleich doch letzteres Stück erst dreiundvierzig Jahre später entstand, war uns vor dem Freitagskonzert noch nie aufgefallen: Da spannt sich das Band der Freundschaft quer durch Zeit und Raum – hörbar gemacht durch die feinen Pianofarben, die lyrischen Phrasierungen des schweizerisch-amerikanischen Pianisten Gilles Vonsattel, der hierzulande noch allzu unbekannt ist. Vonsattel liebt Altes wie Neues. Er weiß, wie man Töne zum Sprechen bringt, in George Benjamins kleinen kanonischen Etuden ebenso wie in Robert Schumanns großer C-Dur-Fantasie. Und ist auch ein gewitzter Tastenlöwe, etwa in Frederic Rzewskis „Winnsboro Cotton Mill Blues“. September 8, 2016Live from Lincoln Center Airs 9/9, 9 p.m. on PBSThe Chamber Music Society goes to Shaker Village, KY, for the first off-campus Live from Lincoln Center ever. 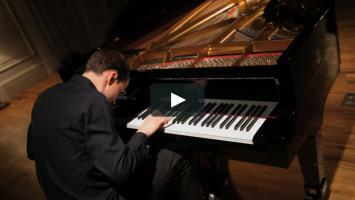 Gilles Vonsattel performs Gottschalk's "The Union" for solo piano, and Copland's "Appalachian Spring" with the Escher Quartet, David Finckel, Paul Neubauer, Arnaud Sussman, Kristen Lee, DaXun Zhang, Tara Helen O'Connor, David Shifrin, and Peter Kolkay. March 3, 2016Gramophone reviews Shadowlines"...Shadowlines..thoroughly succeeds. The dazzling sheen that Vonsattel brings to the rapidly descending scales of Scarlatti connects with Debussy darting all over the keyboard throughout 'Feux d'artifice'...whose harmonic blurrings relate to the stained-glass harmonies Messiaen patented early on in his early Preludes. Likewise, the linear rigor of Webern's variations take root and alluringly branch out in Benjamin's 'Canonic Preludes'...suavely executed and gorgeously engineered." February 16, 2016Review of CMS concert in San Diego - A Great Musical Reckoning"Why do young musicians continue to form chamber music ensembles, in the face of chancy economic prospects and the strapped budgets of presenting organizations? They do it because they hope that through hard work and fanatical commitment , they may be able to play, and move audiences, as the four men who appeard on Sunday night did." February 16, 2016Review: Chamber Music Society...delivers an exquisite recital"...Gilles Vonsattel delivered inspired moments in the opening Allegro ma non troppo...the ethereal Andante cantabile demands a sensitive palette of weighted color at the piano, and Vonsattel created a serene reverie without ever breaking form." January 24, 2016Tampa Bay Times reviews concert with the Florida OrchestraPianist trills, 'lion's roar' surprises at 'Mozart&More'..."Vonsattel handed a gift-wrapped package to the audience directly from the 18th century." November 19, 2015Badische Zeitung reviews Merlin/Vonsattel recital - "A completely convincing partnership"
October 28, 2015NY Times (Corinna da Fonseca-Wollheim) reviews Shadowlines"In this age of iTunes it’s easy to pick – and discard – individual tracks from a recording. 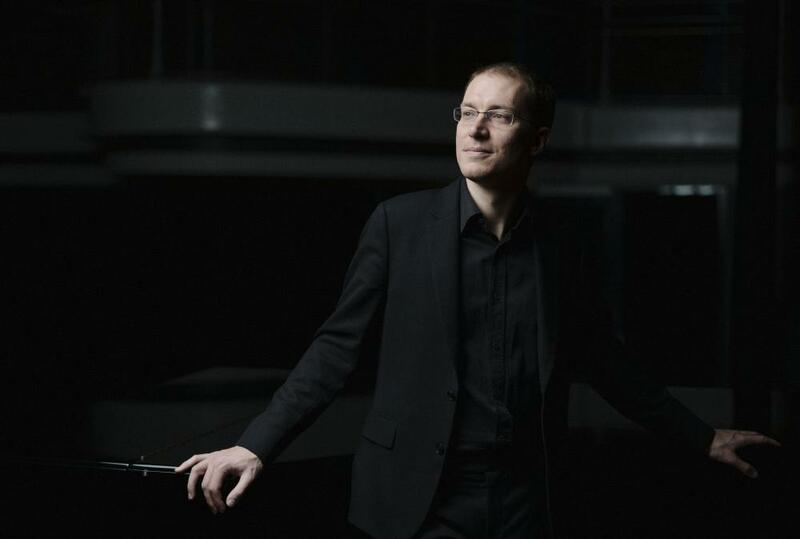 But a great recital, like the one captured on this mesmerizing disc by the immensely talented pianist Gilles Vonsattel, is more than the sum of its parts." 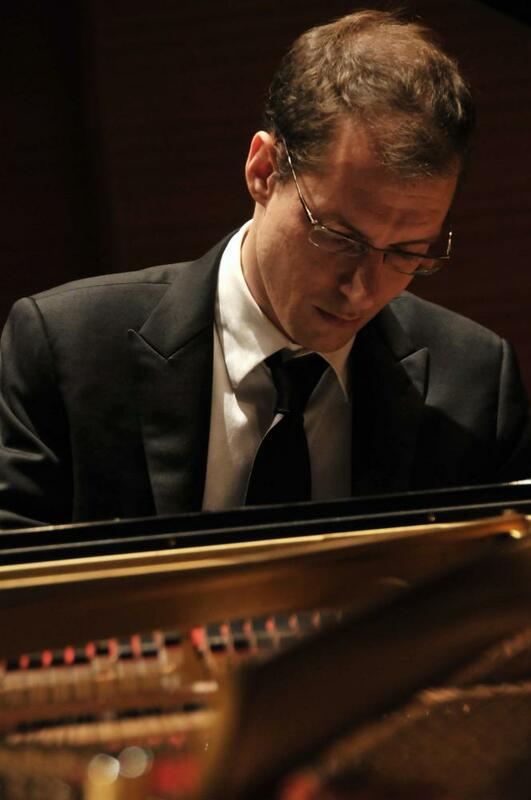 October 28, 2015Gilles Vonsattel named 2016 Andrew Wolf Award recipientIn early 1986, many of Andrew Wolf's friends and colleagues established a specially endowed prize that would encourage other chamber music pianists. Because Andrew Wolf was philosophically opposed to musical competitions—which could damage the careers of those who did not win—the procedure for selecting the recipient of the Andrew Wolf Chamber Music Award does not involve any public competition. Rather, it involves a process of confidential nominations and a review of nominees through tapes and public performances. Only the names of award recipients are announced to the public. The award recipient must be a pianist under the age of forty who is an American citizen or permanent resident of the United States and has made a serious commitment and contribution to the chamber music field. The first Andrew Wolf Chamber Music Award was presented to pianist Jeffrey Kahane in the summer of 1987. Other recipients include: Lydia Artymiw, 1989; Christopher O'Riley, 1991; Wu Han, 1993; Anne-Marie McDermott, 1995; Jeremy Denk, 1999; Jonathan Biss 2001; Natalie Zhu, 2003; and Max Levinson, 2005. 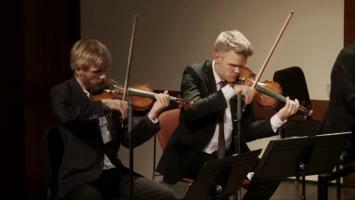 March 19, 2015American Record Guide reviews performance with Danish Quartet"The musical depths the Danes and Vonsattel brought were astonishing. They missed none of the excitement either. Their convincing performance often created a huge sound in a relatively small performance space. 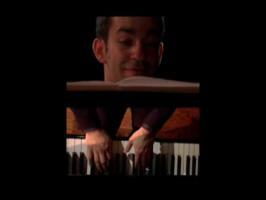 It was akin to a big romantic piano concerto." December 9, 2014Holliger CD continues to earn critical praiseAwarded a 5/5 from FonoForum (DE), the GENUIN album has now been named Classic Voice's disc of the month. August 9, 2014SFCV Reviews Carte Blanche Music@Menlo Recital"...they showed their appreciation with a roaring standing ovation..."
October 6, 2013Review of Springfield Symphony Opening NightThe Republican reviews Springfield Symphony's Opening Night concert - Ravel G Major Concerto: "His dexterity was blindingly precise from the lightest touch to the most peremptory outburst. In the languid central adagio, he made the piano sing as few players can. Articulation such as this allows the listener to hear the “music between the notes” and to briefly forget that the piano is essentially a percussion instrument." February 28, 2012Le Soleil review - Vonsattel, OSQ, and Fabien GabelReview by Richard Boisvert of the Feb. 27 concert with the Orchestre Symphonique du Québec and Fabien Gabel; Mozart Concerto No. 9 "Jeunehomme"
October 15, 2012CMS Artist Profile VideoA little interview and some playing for the Chamber Music Society of Lincoln Center. Live Performance of George Benjamin's Shadowlines for solo piano on WQXR's Q2: a listener-supported, New York-based online station devoted to the music of living composers; a home for immersive festivals, live Webcasts and on-demand concerts from today’s leading New Music performers and venues. A wonderful couple of months to look forward to. Great repertoire, fantastic colleagues. A return performance with the San Francisco Symphony at Davies Hall under conductor Michael Francis, festival appearances at the Bard, Bridgehampton, Music From Angel Fire, and Strings music festivals, a solo recital on Nantucket, and a first trip ever to Israel to be a part of the Jerusalem Academy...and I'm getting married ! 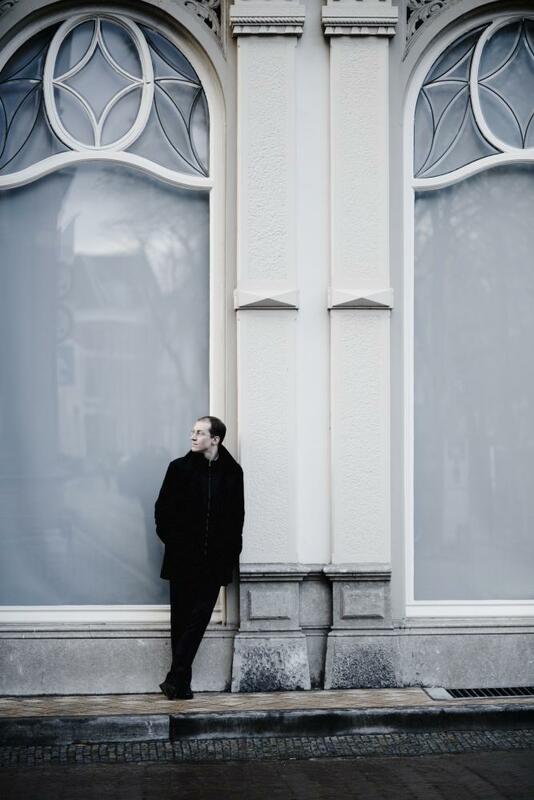 A "wanderer between worlds" (Lucerne Festival), "immensely talented" and "quietly powerful pianist" (New York Times), Swiss-born American Gilles Vonsattel is an artist of extraordinary versatility and originality. Comfortable with and seeking out an enormous range of repertoire, Vonsattel displays a musical curiosity and sense of adventure that has gained him many admirers. 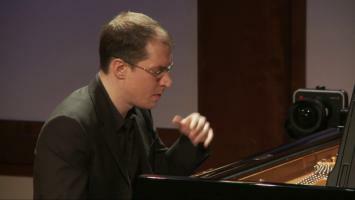 Recipient of an Avery Fisher Career Grant and winner of the Naumburg and Geneva competitions as well as the 2016 Andrew Wolf Chamber Music Award, he has in recent years made his Boston Symphony, Tanglewood, Chicago Symphony Orchestra, Munich Philharmonic, Gothenburg Symphony, and San Francisco Symphony debuts, while performing recitals and chamber music at Ravinia, Tokyo’s Musashino Hall, Wigmore Hall, Bravo! Vail, Music@Menlo, the Gilmore festival, the Lucerne festival, and the Munich Gasteig. 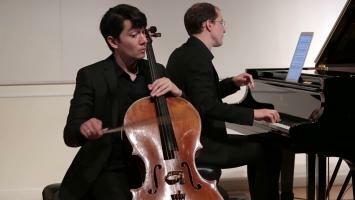 His most recent 2014 New York solo recital was hailed as “tightly conceived and passionately performed…a study in intensity” by The New York Times. Reengaged by the San Francisco Symphony, he has also appeared with the Warsaw Philharmonic, Calgary Philharmonic, Edmonton Symphony, l’Orchestre Symphonique du Québec, Boston Pops, Nashville Symphony, Musikkollegium Winterthur, Staatskapelle Halle, and L’orchestre de chambre de Genève. 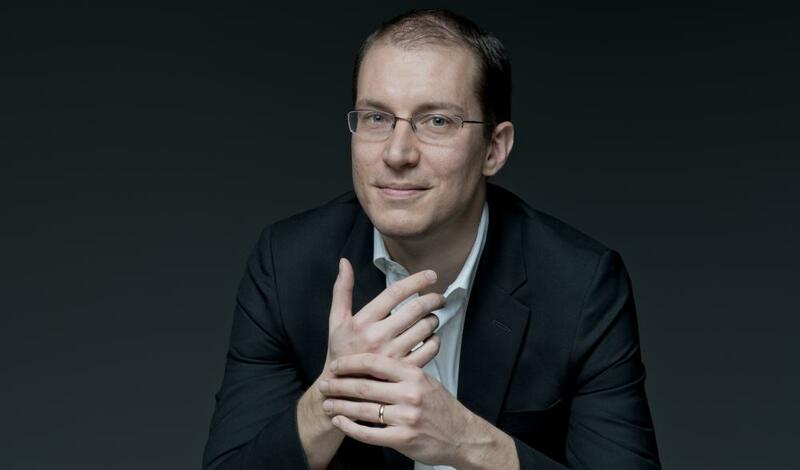 Chamber partners include musicians such as James Ehnes, Frank Huang, Ilya Gringolts, Nicolas Altstaedt, David Shifrin, David Finckel, Stefan Jackiw, Jörg Widmann, Gary Hoffman, Carter Brey, Anthony Marwood, Paul Neubauer, Paul Watkins, Philip Setzer, Emmanuel Pahud, Karen Gomyo, David Jolley, Ida Kavafian, and the Swiss Chamber Soloists. He has appeared in concert with the Pacifica, Orion, Ebène, Danish, Daedalus, Escher, and Borromeo Quartets. 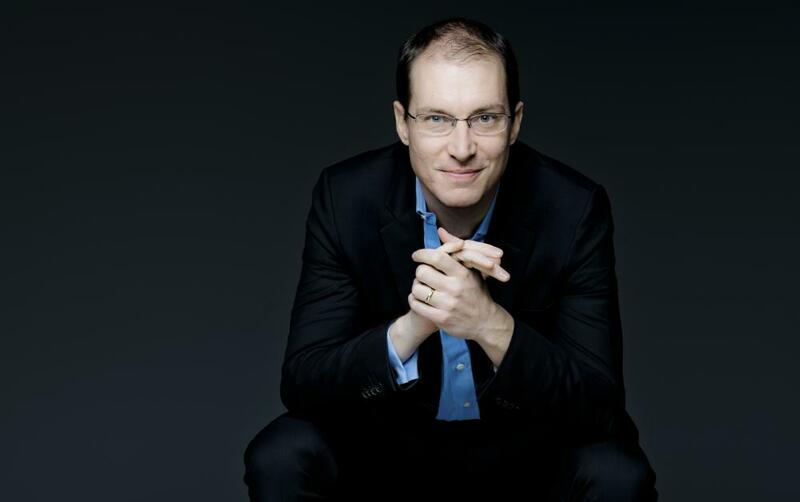 Deeply committed to the performance of contemporary works, he has premiered numerous works both in the United States and Europe and worked closely with notable composers such as Jörg Widmann, Heinz Holliger, and George Benjamin. 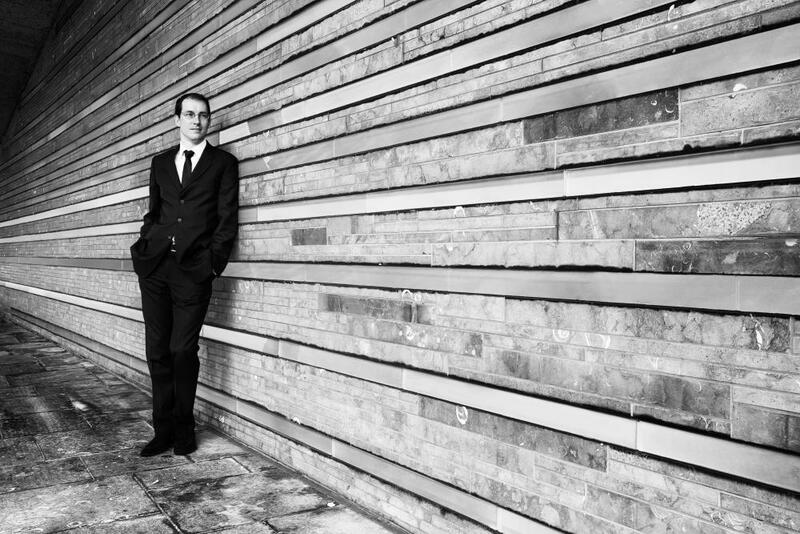 His 2011 recording for the Honens/Naxos label of music by Debussy, Honegger, Holliger, and Ravel was named one of Time Out New York’s classical albums of the year, while a 2014 release on GENUIN/Artist Consort received a 5/5 from FonoForum and international critical praise. 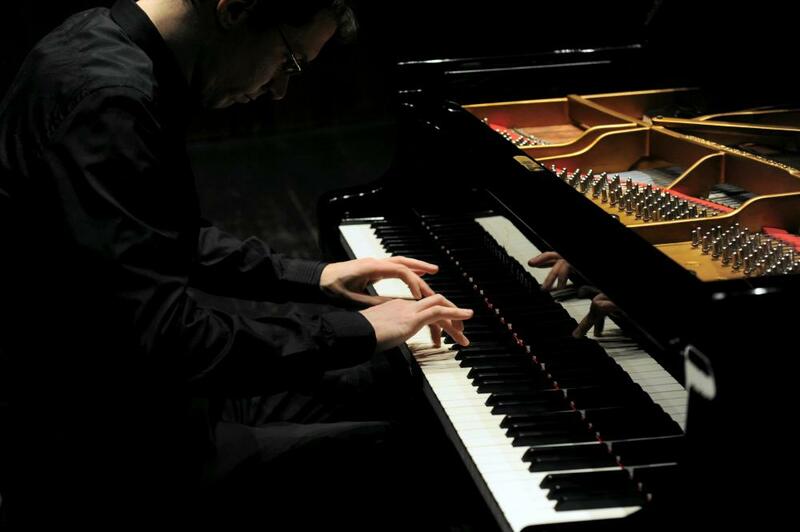 His latest solo release (2015) for Honens of Scarlatti, Webern, Messiaen, Debussy, and George Benjamin’s Shadowlines received rave reviews in Gramophone, The New York Times, and the American Record Guide. Recent projects include Berg’s Kammerkonzert with the Orchestra della Svizzera Italiana, a tour with Jörg Widmann and the Irish Chamber Orchestra, Mozart concerti with the Vancouver Symphony and Florida Orchestra, performances at Seoul’s LG Arts Centre and at the Beijing Modern Music Festival, collaborations with Kent Nagano with L’Orchestre Symphonique de Montréal and the Munich Philharmonic (Bernstein’s Symphony No. 2, The Age of Anxiety) as well as numerous appearances internationally and throughout the United States with the Chamber Music Society of Lincoln Center. 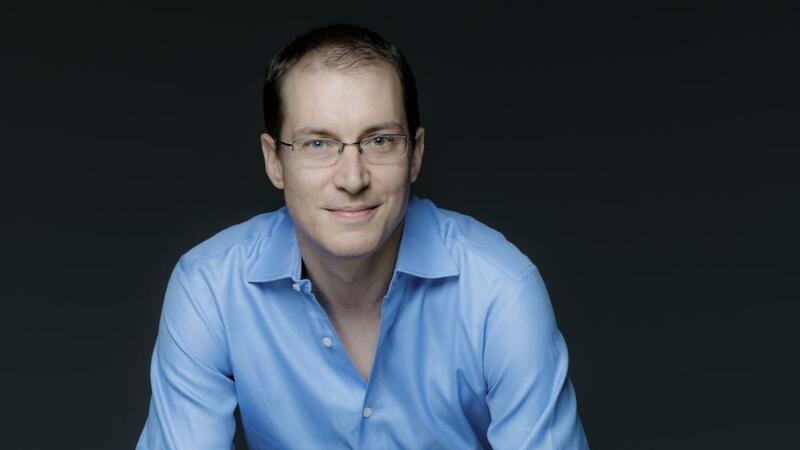 Mr. Vonsattel received his bachelor’s degree in political science and economics from Columbia University and his master’s degree from The Juilliard School, where he studied with Jerome Lowenthal. He is on the faculty of the University of Massachusetts at Amherst, and makes his home in New York City. 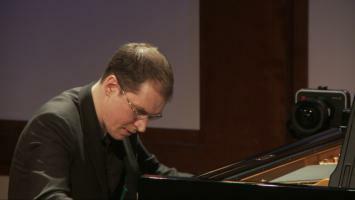 Gilles Vonsattel is a Steinway Artist. This was a sterling performance of the concerto, the fearsome technical challenges met in a clear-eyed way and with the courage and the physical strength needed for the big moments....the piano tone was full, rich and generously projected, and without a hint of hardness. The rapturous slow movement was as successful as the framing movements - a thing of beauty. 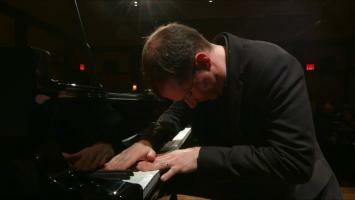 Swiss-born Gilles Vonsattel was dazzling in some insolently difficult Liszt and Gottschalk. If any doubt remained as to Saint-Saëns's capacity to (sometimes) write great music, surely Vonsattel and Edward Arron put it to flight with 1872's wonderful first Cello and Piano Sonata. From the beautifully and sensitively played first-movement cadenza to the concerto's stunningly bravura ending, Vonsattel turned in a performance that had the packed house at Dawson Auditorium on its feet almost before the final notes died away, and rightly so. Schumann: Symphony No. 3 in E-flat Major, Op. 97 "Rhenish"
Saturday, September 29, 2018Gershwin F Major Concerto with the South Carolina PhilharmonicKoger Center for the ArtsColumbia, SChttp://www.scphilharmonic.com/calendar.aspx?event_id=1120BARBER Overture to "The School for Scandal"
FRANK Mestizo Waltz from "Three Latin American Sketches"
Thursday, August 23, 2018Solo RecitalTeatro JovellanosGijón, Spainpart of the Gijón International Piano Festival. BRUCH · Octet in B-flat Major, Op. posth. Tuesday, January 16, 2018Camerata PacificaThe HuntingtonSan Marino, CAwith Kristin Lee and Martin OwenBeethoven - Piano Sonata No. 26 in E-flat Major Op. 81a "Les adieux"
Wednesday, September 26, 2018Camerata PacificaThe Museum of Ventura CountyVentura, CAwith Kristin Lee and Martin OwenBeethoven - Piano Sonata No. 26 in E-flat Major Op. 81a "Les adieux"
Friday, January 12, 2018Camerata PacificaHahn HallSanta Barbara, CAwith Kristin Lee and Martin OwenBeethoven - Piano Sonata No. 26 in E-flat Major Op. 81a "Les adieux"
Wednesday, January 11, 2018Camerata PacificaZipper HallLos Angeles, CAwith Kristin Lee and Martin OwenBeethoven - Piano Sonata No. 26 in E-flat Major Op. 81a "Les adieux"
April 20, 2012Recital in BezansonRecital in BezansonN Pleasant St.
March 4, 2012Beethoven SonatasTeatro ColsubsidioBogota, ColombiaOp. 10, No.3, Op. 31, No. 1, Op. 54, Op. 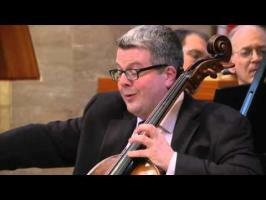 81a "Lebewohl"
February 20, 2012Jupiter Symphony Chamber PlayersGood Shepherd ChurchNew York, NYrepeat! Debussy's L'isle Joyeause is featured on Swiss-born American pianist Gilles Vonsattel's second studio recording on the Honens label. Gilles plays the last movement of the Ravel Sonatine, Animé.